Every hardware introduce itself to an operating system by its own driver software. The driver software is an interface between operating system and the hardware. Usually the hardware vendor is responsible for providing driver software along with the hardware part and the installer is distributed via CD/DVD and the download link vendor’s website. For some hardware the driver software is inbuilt which means it come along with the OS installation. In some special cases, suppose consider that you have purchased a new hardware devices. But for that hardware, software driver is not known or available with some third party vendors (multiple Vendors). In this case, it is difficult to finalize the driver software provided by third party software Vendor is compatible to your hardware device. Searching of compatible or matching device driver software is tedious job and sometime it is risky. You may end up with searching compatible software on the internet, downloaded and installed. Some cases it works quite smoothly. But, suppose if it found incompatible, then anyway the hardware will not work and there is a high chance of damage or may corrupt your operating system. This is quite risky. In such situations, either you should have a sound knowledge on list of compatible device drivers available in the market. Or else, you would need an intelligent utility software which help you to identify and suggest the compatible driver software for your hardware device. 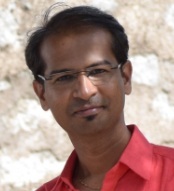 In this article, I will introduce a system tool which makes your life ease. Hardware identity is smart and light weight system software tool. This is the free software tool list all hardware devices attached to your computer and associated installed driver software. Using this software you can easily identify missing device driver software on your computer. Also, the tool suggests the compatible driver software which you are looking for. The Hardware Identity tool display detailed information’s related to every single hardware devices such as Name of the hardware, the Vendor or Manufacturer of the hardware, the Error Code with respect to an error persist at present on the hardware device, the Class to which the hardware belongs to a certain category, the Driver Version is the version number of the installed software driver and the unique Hardware ID. 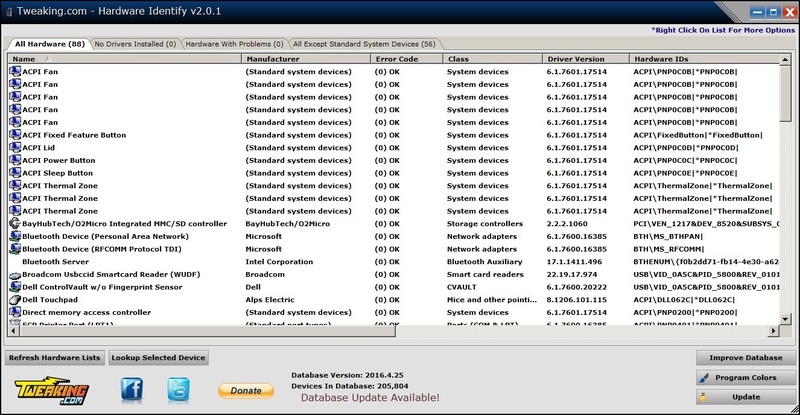 This tool also list the hardware for which no driver software is installed and hardware with problems. Clicking on each hardware item in the main screen hardware list, the device Lookup screen appears which in turn display the possible match and best possible match of software drivers for the selected Hardware ID. List all possible and best possible match of available driver software’s for the selected Hardware ID in different color texts. There is a button ‘Search Google For Drivers’ allow you the search software drivers in google search pages. The right click context menu allow you search driver software in Google search pages by Name or by Hardware ID. The right click context menu also allow you to copy the details of selected driver software. 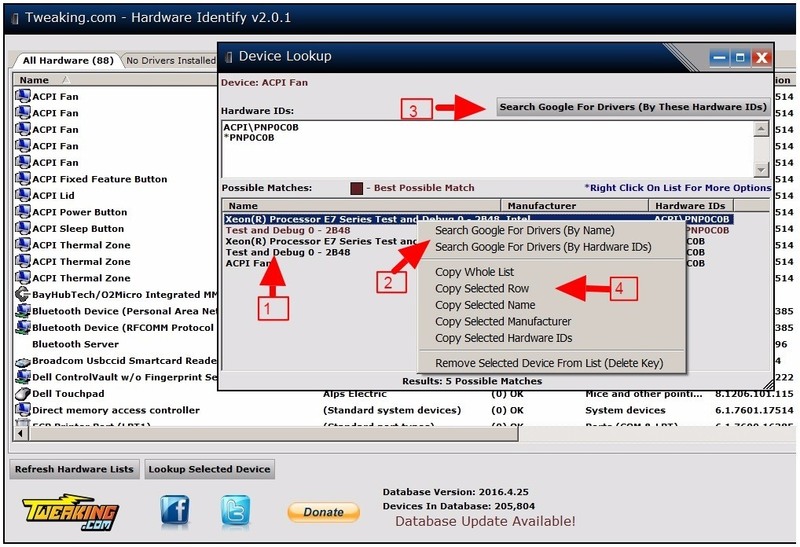 Further you can also help improving Hardware Identity tool by clicking on Improve Database button. By doing this your computer hardware and driver software details gets uploaded to the developer database. Also, don’t forget to update your Hardware Identity database when you see database updates available notification at the bottom. The database update will copy all newly found hardware and software driver list into Hardware Identity tool local database. The update can be installed by clicking on Update button. You can download Hardware Identity tool from the official website.and it’s free.